On Monday 14th November 2016 (7.45pm) our guest speaker will be the distinguished sport writer Brian Scovell. 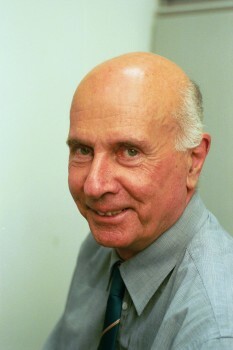 Brian Scovell was born in St Lawrence on the Isle of Wight and graduated to become one of the UK’s outstanding sports writer for the ‘Daily Sketch’ and ‘Daily Mail’ (1960-2000). He has had 27 sporting books published, four short listed by the British Sports Books Awards, and was Highly Commended in the Sports Journalism Awards in 1990. He is the only person to have chaired both the Football Writers’ Association and the Cricket Writers’ Club. Brian’s latest book – The Conquests of 1966 of Alf and Gary: England’s Sport Finally Triumphs – is published by Fonthill Media on 10th November 2016. Further details on Amazon.